From the very first day you got your period, you've been able to count on it coming back month after month (except during pregnancy) for close to four decades. Call it what you will — a curse, a burden, a crimson ode to your femininity — but you’ll probably be dealing with it until around age 52, which is the average age for American women to reach menopause. Despite its inevitability, you will experience some changes in your menstrual cycle throughout the decades, especially since your period is directly tied to your hormones. And when you turn 40? That’s when your body really starts to shake things up. Whether you're approaching the big 4-0 or want to know what can happen to your flow when you do, here's what ob-gyns say to expect. 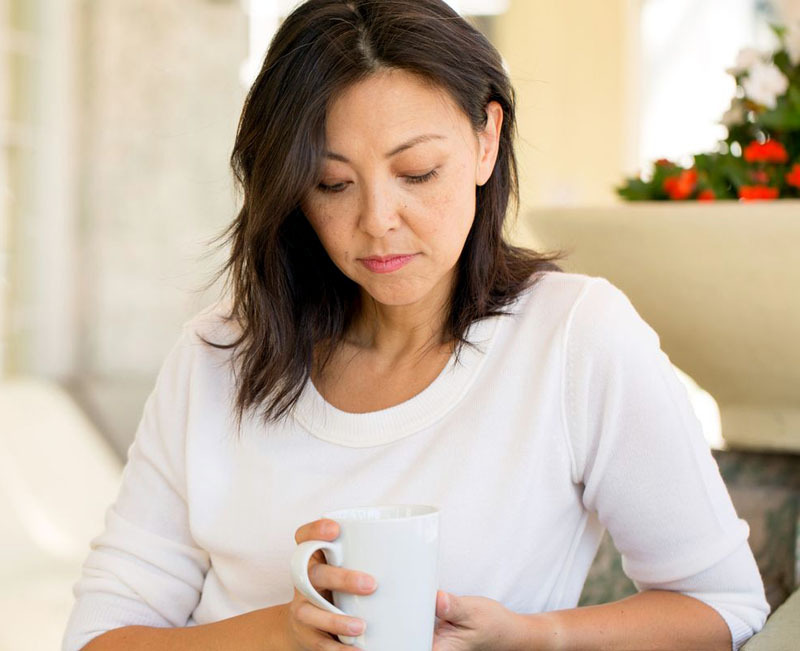 Before you reach menopause, your body goes through perimenopause, a transition time between normal periods and full menopause (defined as 12 straight months without a period), which can last one to five years, says Rebecca Dunsmoor-Su, MD, an ob-gyn in Seattle. “Perimenopause is a time that’s characterized by irregular menses, which are usually more spaced out.” As your hormones start to fluctuate, “it can lead to scanter, lighter periods,” adds Adeeti Gupta, an ob-gyn and founder of Walk In GYN Care in New York City. Don’t freak out (or start celebrating) if your period goes entirely MIA one month. “A skipped period is the first sign of deteriorating egg quality,” says Dr. Dunsmoor-Su. “Some months, the eggs just don't reach a point where they release, and so a period gets missed.” Remember: You’re not in menopause until you go a full year without a period, so skipping a month doesn’t necessarily mean you can toss all your pads and tampons. Once you hit 40, “it’s like going through puberty again,” says Dr. Gupta, who warns women that they might start breaking out again, just like in high school. "I call it the second wind of the dying female hormonal machine,” she adds. Women also start to get hot flashes and night sweats during perimenopause, but these symptoms tend to come and go as hormones fluctuate, says Dr. Dunsmoor-Su. Your chances of getting pregnant decrease as you move through your 40s. But you can absolutely get pregnant in this decade, says Dr. Dunsmoor-Su. “There is an ovulation (egg release) 14 days before each period as long as you have your period,” she explains. “However, eggs at this time of life tend to be of poor quality with a lot of genetic ‘mistakes,' and miscarriage rates are very high.” If you don’t want to get pregnant in your forties, you should still be using birth control.